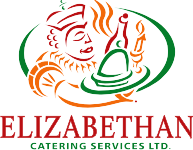 Venues - Elizabethan Catering Services Ltd. Since The Oasis Centre opened in 2007 is has become one of our favorite venues for a spectacular wedding. It features stunning architecture, a brilliant garden, and beautiful facilities have provided a new standard of elegance and customizability for all kinds of events. The Oasis Centre offers an impressive yet intimate setting as you seal your marriage with a kiss. A soft light streams through tall glass windows, highlighting marble pillars and golden drapes. 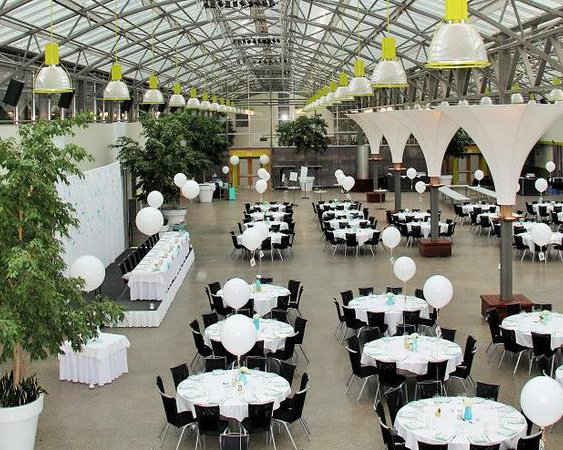 The Oasis Centre is an outstanding wedding venue in Edmonton, adaptable to a wide range of cultures and styles. The Enjoy Centre is designed to blur the line between the indoors and out, and it provides a venue that uniquely offers the backdrop of the verdant Hole’s Greenhouse to provide the perfect setting for wedding ceremonies and receptions. Not only that, it is a perfect venue to accomodate the ceremony, reception and photography sessions all in one location. Elizabethan Catering Services Ltd. loves to work with the professional staff at the Enjoy Centre to create an event you will never forget. Spectacular food, professional staff and an incredible venue all combine to make your event one that will impress your guests and provide an amazing experience for all. 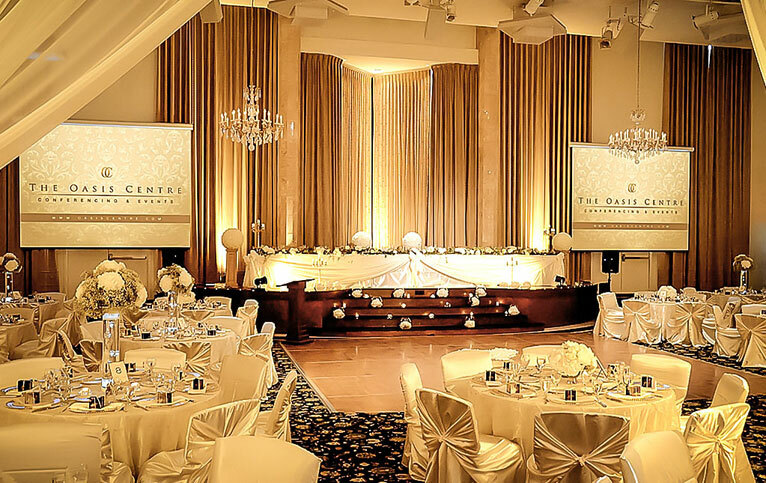 The City of Edmonton and surrounding area has some of the finest facilities available to hold a memorable event. This is list of links is only a small section of the most popular places to host your function, all varying in size and atmosphere. There are some truly spectacular venues, some of which are not very well known, but have to be seen to be believed. They are truly beautiful, many of which can hold the “higher end” events that are very much in demand, and book up early.